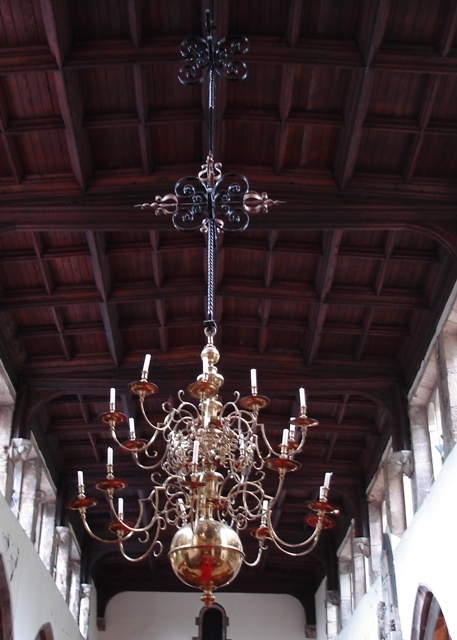 The handsome brass candelabra which hangs in the nave was purchased in 1737 following a parish meeting at which the wardens were authorised to purchase "a decent brass candlestick to be hung up in ye parish church for ye perpetual use of ye said parish." 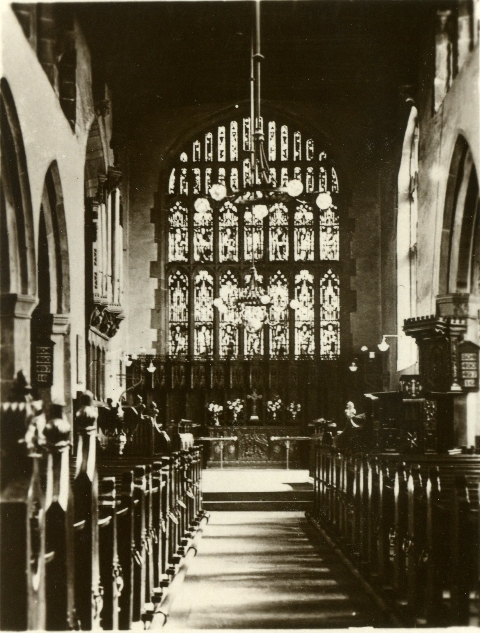 It was removed temporarily in 1878 when the church was lighted by gas. It has recently been repaired (1983-6) and gilded. Fittings on several of the beams show where previous lights were hung. This is borne out by the photograph below.